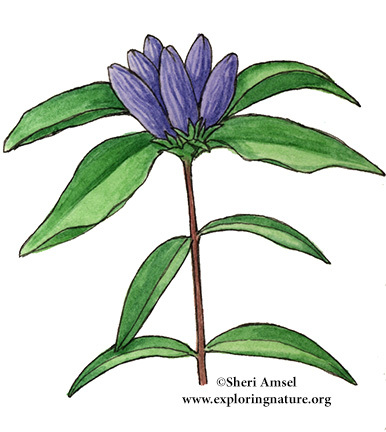 They are found in wet fields, meadows and brushy areas. 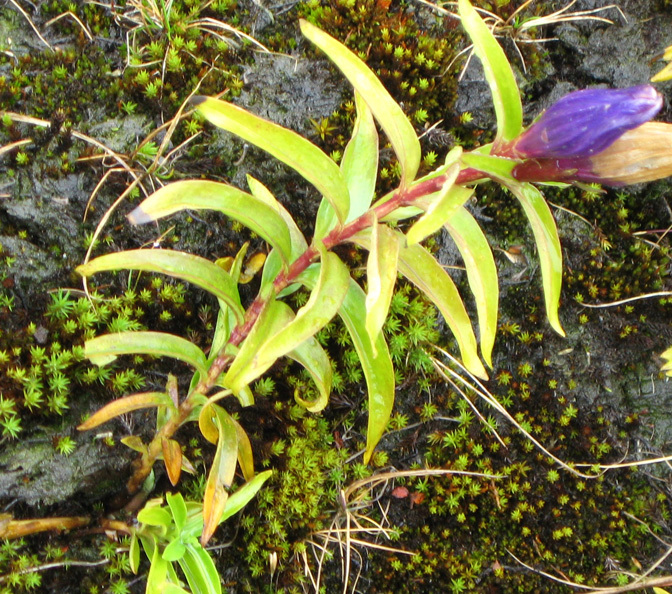 They have dark blue, tube-like flowers that are sealed at the end. They sit in a bunch at the top of the stem, where upper leaves meet the stem. Thin, pointed leaves are in whorls at the top of the stem. More leaves are on each side of the stem as you go lower. They bloom August through October. 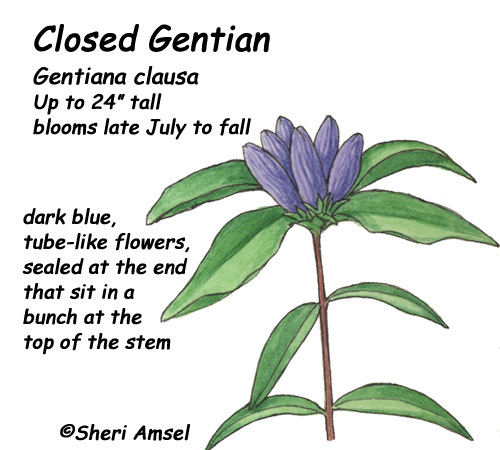 Also called, closed gentian and bottle gentian. Flower Type: Flowers with 5 fused petals forming a "bottle". Many flowers groups together on the top of plant.